Looking to watch NCAA March Madness on Kodi this year? 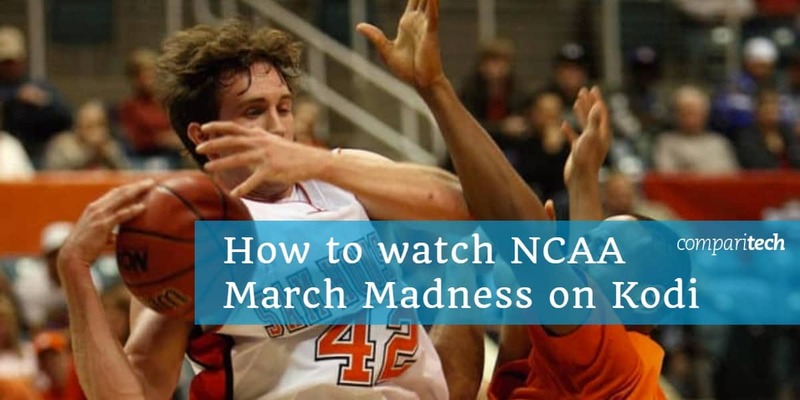 There are several options available that will let you watch March Madness games, including the Final Four and the National Championship game, completely free. Get your brackets ready! March Madness runs from March 19 to April 8 this year, with big-name teams like Tennessee, Duke, Michigan, Marquette, and others ready to completely upset your office brackets and make you lose a lot of money in the betting pools. There are multiple ways to watch your favorite teams get defeated this year, and you can even watch NCAA March Madness 2019 free on Kodi. Important note: Our guide only recommends official sources for NCAA March Madness. March Madness is one of the most popular sporting events on TV in the US and has notable fan bases across the world. As a result, some websites may try to offer unlicensed streams. However, sites and apps offering these streams are often a privacy and security concern, as many carry malware and collect user data. Additionally, unlicensed streams are far more likely to buffer and fail during the games you want to watch. Thankfully, several Kodi addons will give you access to either some or every NCAA stream this year. If you are outside the US and want to watch March Madness games for free, you may need to connect to a VPN server in the US. BEST VPN FOR KODI:IPVanish is our top choice. The service has a large network of fast, uncongested servers. IPVanish offers strong security, privacy, and anonymity features that make it bypass ISP speed throttling and snooping on any device, including the Amazon Fire TV Stick. Try it risk-free with the 7-day money back guarantee. RELATED: If you are not a Kodi user we have a guide to watching March Madness online outside the US here. First, sign up for a VPN of your choice. We recommend IPVanish for Kodi users, although ExpressVPN, NordVPN, and CyberGhost are comparatively good options as well. Now, connect your VPN to a server in the country of your choice. Your best option is a server in the US, as most free and paid broadcast options, such as CBS, will be coming from the US. Open the video in Kodi and start streaming! Finally, make sure you test out your streaming option before the games you want to watch. That way, you can ensure you have access and will give yourself time to find alternatives if your Kodi addons aren’t working. We suggest you test out your options as soon as you sign up, and to try multiple VPN servers to make sure you find one that’s fast, reliable, and works with the streams you want. NCAA March Madness broadcast rights are split across several different networks. Some of those will be freely available on Kodi, but others are cable TV networks with free trials through various services. In particular, CBS broadcasts will be freely available on some services, but those broadcast on TBS, TruTV, and TNT are not freely available anywhere (but can still be accessed through a few Kodi addons). Kodi is going to be a great option since it’s available on multiple devices, including the Amazon Firestick. Regardless of which option you choose, however, several apps will have you covered for March Madness. USTVnow, in particular, will be able to give anyone around the world free access to a large number of March Madness games thanks to its free CBS broadcasts. For the 2019 March Madness season, CBS will broadcast around 20 games (most during the second round), all of the Final Four, will carry the final National Championship game. TBS, TruTV, and TNT will have a majority of the games, but you’ll need to use a free trial from services like Sling TV or PlayStation Vue to access them. With USTVnow, you’ll be able to watch all of the CBS March Madness games for free. USTVnow is a live TV service that offers five channels for free and 25 channels for a subscription fee. It’s designed primarily for US military members living overseas, but there are no restrictions on who can sign up. You also don’t need a VPN to watch if you’re outside of the US, and even those living stateside can often watch without a VPN as well, although video traffic is still subject to ISP throttling. You can pay $25 per month for up to 25 channels, but the service does not carry TBS, TNT, or TruTV, so it may not be worth the cost for NCAA fans. To install USTVnow, go to the official Kodi addon repository, then to the Video addons section. From there, select USTVnow, and click install. At long last, Sling TV is finally available on Kodi as a downloadable addon. Sling TV is a US-based OTT service that carries TBS, TNT, TruTV. Sadly, CBS is not available on Sling TV, but if combined with a free USTVnow account, you’ll be able to watch every March Madness 2019 game live on Kodi. Sling TV’s price point is fairly cheap at just $25 per month. The service occasionally runs deals and discounts as well, so you may be able to get it for less, depending on when you check. There’s also a 7-day free trial, so you can sign up and catch a large number of games, then cancel your account. After all, March Madness only lasts for 3 weeks! 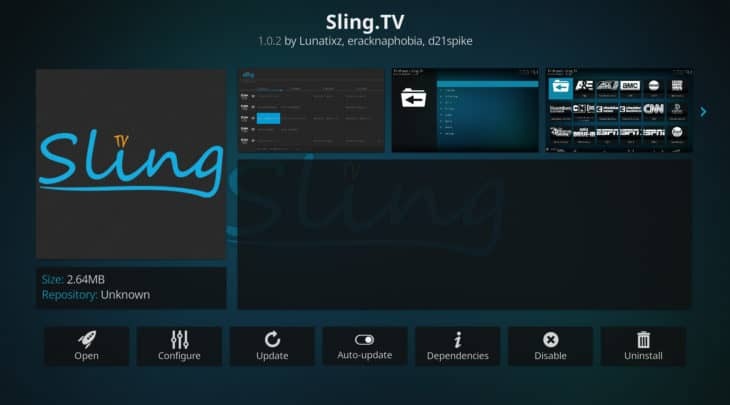 To install the Sling TV addon on Kodi, go to the official Kodi addon repository, find the Video addons section, click on Sling TV, and install from there. The addon requires an active account, so you’ll need to have a trial account set up before you can sign in and start streaming. Unlike the Sling TV addon, PlayStation Vue has every channel you need to watch NCAA March Madness 2019 on Kodi. And with a free trial, you can follow up your free Sling TV trial with the 5-day free trial from PS Vue to get nearly two weeks’ worth of NCAA March Madness games free and in high-quality streaming. PlayStation Vue has four streaming packages starting at $44.99 per month. The lower-cost “Core” package is the one you’d need to sign up for to get all of the channels necessary to watch March Madness this year, although you won’t have to pay that if you cancel after the free trial is over. 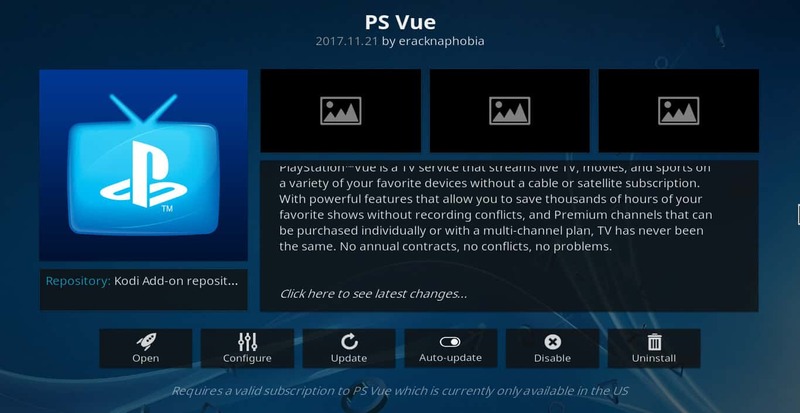 You can find the PS Vue Kodi addon in the official Kodi addon repository Video addons section. This addon also requires an account to connect to before you can use it. DAZN is an interesting case. This sports streaming service will offer all of the March Madness games you need, but only if you’re in Austria, Switzerland, or Germany. That said, DAZN’s service is available in several different countries, including the US and Canada. It offers different streaming libraries depending on your IP address location, which can be changed with a VPN. It’s also relatively cheap in most places at just $9.99 per month with a one-month free trial. We’ve tested multiple VPNs with DAZN, and bypassing its content blocking is patchy, at best. However, if you can get a VPN working with DAZN Austria, Switzerland, or Germany, this is your best option. 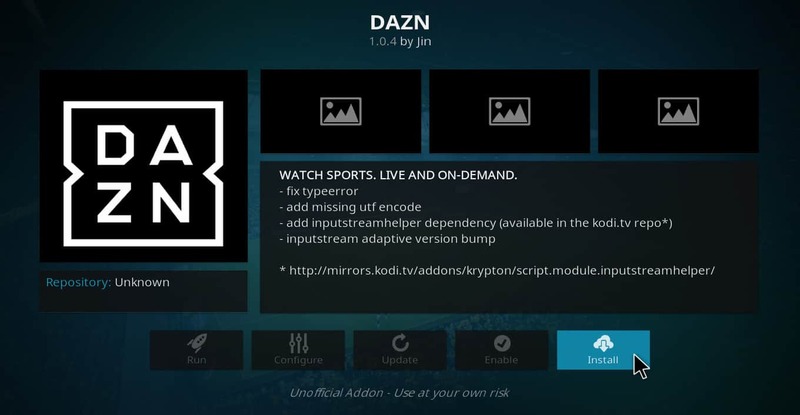 Not only is there a high-quality DAZN Kodi addon, but combined with a one-month free trial, you’ll be able to watch every NCAA March Madness game for free, including the Final Four and National Championship games. You can install the DAZN Kodi addon directly from the official Kodi addon repository Video addons section. Just looking for a selection of highlights and replays? The YouTube addon has you covered. There’s an official March Madness YouTube page you can access directly from the YouTube Kodi addon. 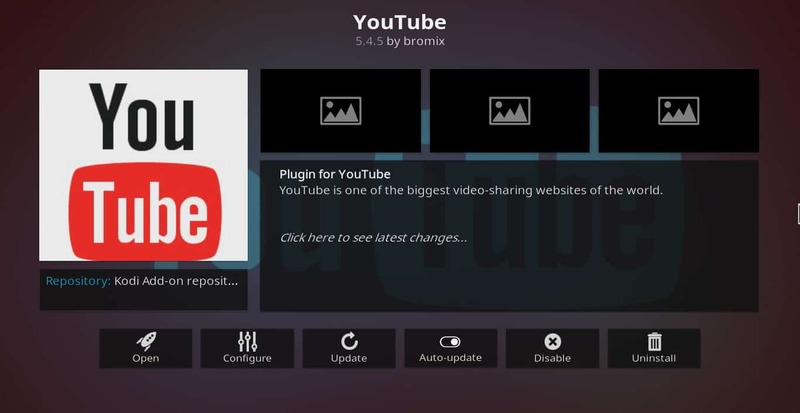 You’ll find the YouTube addon is available in the official Kodi addon repository Video addons section. The NCAA has a complete schedule of their March Madness 2019 dates, schedules, and broadcast sources, or from our chart just below.